After announcing an exciting third quarter 2014, Time Warner Inc (NYSE:TWX) is all set to explore foreign lands with a possible $588 million acquisition bid for Ten Network Holdings Limited (ASX:TEN). The shares of Ten Networks rose amid takeover speculation closing at A$0.27. According to the reports of Australian Financial Review, the U.S. media machine made initial bid of A$0.25 which puts the overall deal at A$680 million. There were no official confirmations from either of the parties. Ten Network Holdings Limited (ASX:TEN) is said to appoint Citigroup Inc (NYSE:C) to find out the potential strategic options for the ailing media house. The company received a joint takeover approach from local pay television Foxtel and the American Discovery Communications Inc. (NASDAQ:DISCA). 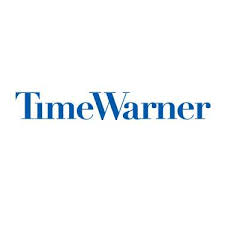 Earlier last week, Time Warner Inc (NYSE:TWX) reported its third quarter 2014 financial results with net revenue of $6.2 billion and adjusted operating income of $993 million. Both of its primary subscription channels HBO and Turner reported double-digit subscription revenue growth. Warner Bros. was the largest contributor in revenue followed by Turner, Home Box Office, and its Intersegment eliminations with respective revenues of $2.77 billion, $2.44 billion, $1.30 billion and $282 million. Time Warner Inc (NYSE:TWX) announced adjusted earnings per share of $1.22 against the adjusted EPS of 91 cents in the year ago quarter. Its net income attributable to the shareholders was $967 million. Earlier, Turner Broadcasting was speculated to hire Fox executive, Kevin Reilly, for heading the management of TNT and TBS networks. The chief executive of Turner Broadcasting said, “We need to go for projects … that have a distinctive voice and that resonate and rise above the clutter.” Reilly is likely to shoulder more responsibility including the management of programming, marketing, and business operations of both the channels. Apple Inc. (AAPL), Time Warner Inc (TWX), Microsoft Corporation (MSFT): Top 3 Stock Holdings of Calvert Investment Management Inc.